EndleSS hoBBies!! : Guerlédan night reflection. 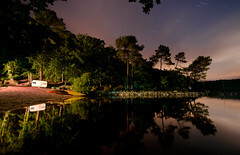 Guerlédan night reflection., a photo by guix29 has got new toys (nikond7000tamron90macro) on Flickr.